As I'm sitting here in my empty apartment, I have a lot of time to think about furniture arrangement. The bedroom will be a piece of cake—it's huge and will hold my entire bedroom suite easily. It's in the kitchen / living room space that I'm going to have to get more creative. I'm trying to figure out if I'll have enough room for a dining table. You see, I have these really sweet lime green vinyl chairs with chrome legs. 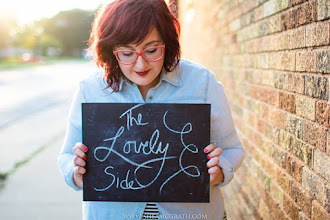 You've never seen them here on the blog because—well, I haven't had space for them for two years so they've been packed away at my parents' house. 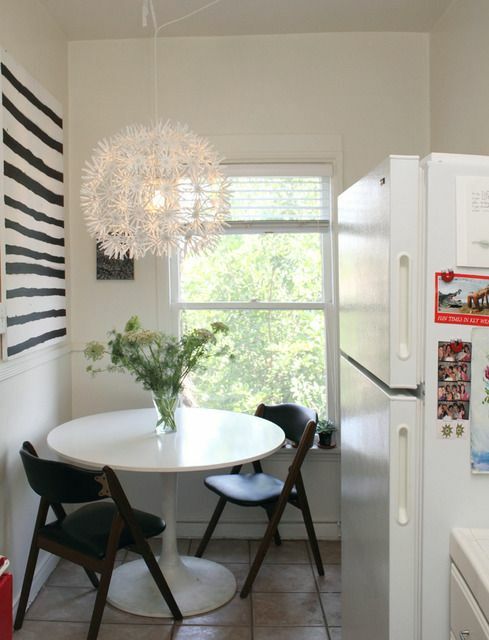 So I hit Pinterest and rounded up 10 small dining spaces to get my creative furniture-arranging juices flowing. The one up above is my favorite because it sits out in the middle of the kitchen without feeling like a huge obstacle. Though, I feel like I prefer a round table. I love this round table. It's small, easy to move around, and white. 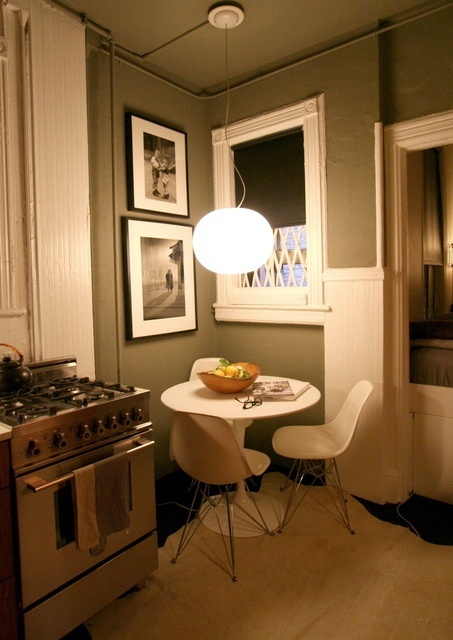 The curtain divider is a great idea in this studio space, but I want integrate my dining space into the kitchen / living room rather than isolate it. I think I could even make do with a small round cafe table like this one—as long as it was heavy. I had a cafe table once upon a time, but it was so lightweight that it was easy to knock over if you bumped it while pulling your chair up to it. This is a great option should I discover that I don't have enough room for a dining table. Chairs pulled up to a higher coffee table would work just fine. 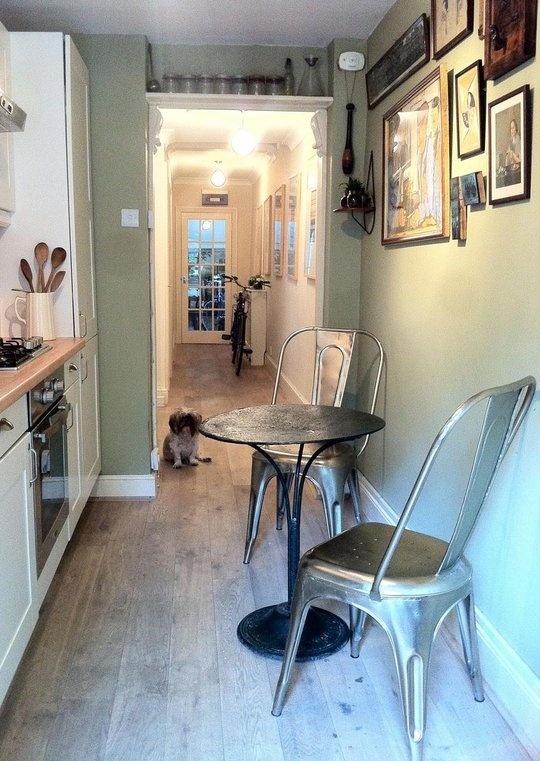 And as this space shows, it can be rather cute. I love how cozy and charming this dining space is. I wouldn't want a table cloth, but I love the size and style of the round table underneath. 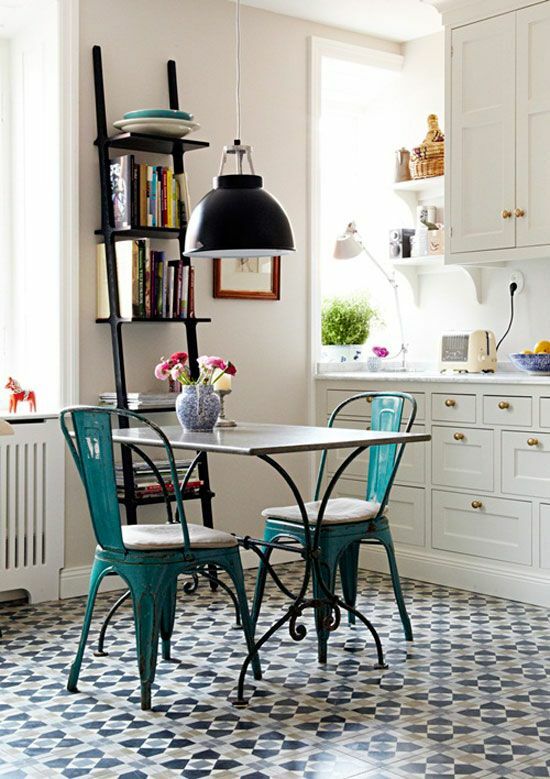 A traditional pedestal table might contrast quite nicely with retro chairs. 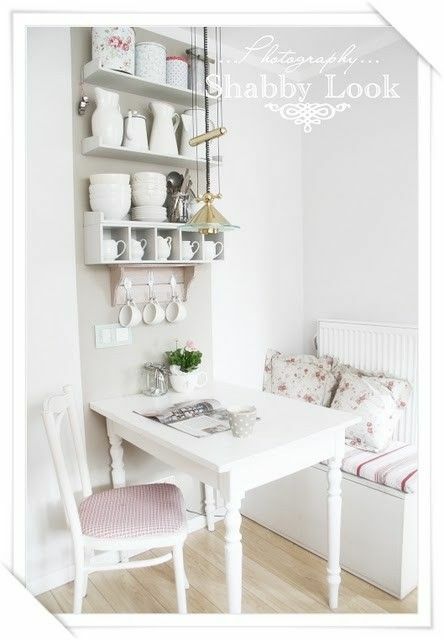 This shabby chic dining corner is adorable. I like the size of the table. Even more, I like that the nearby wall was used for vertical, exposed storage. What a great way to display cute teacups and bowls! The size and style of this round table is ideal. If I could get my hands on one of these, I think I could definitely make room for a dining corner. 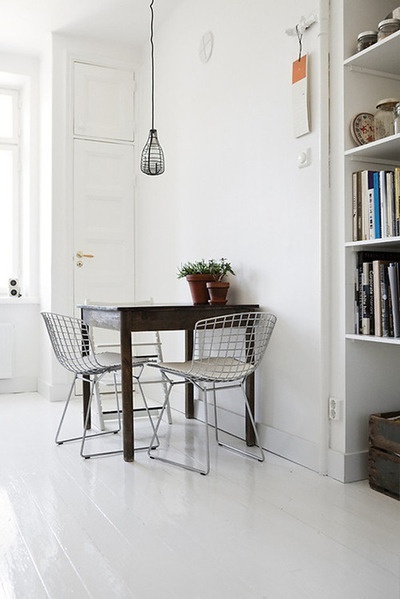 And yet, I love the rustic feel of a plain square table in dark wood... especially next to the chrome of chairs. I'd love for my dining space to be nestled up to one of the windows. It'd be a lovely little place to sit down with a cup of tea and blog away. 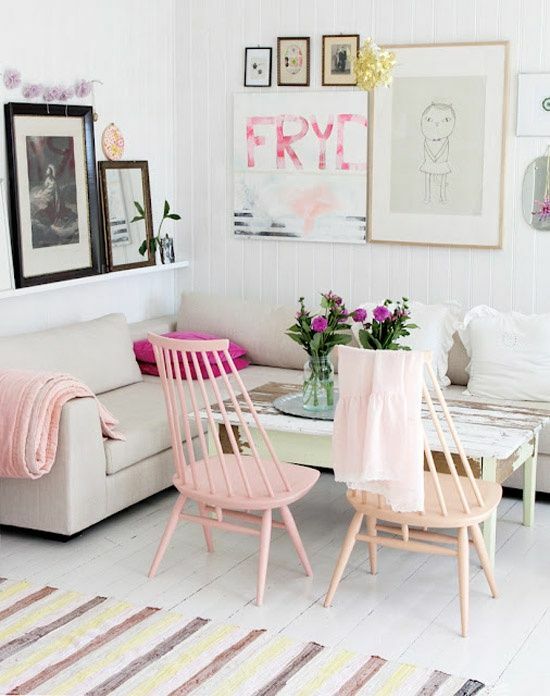 Do you have a dining space in your small space or do you make do with a sofa and coffee table? 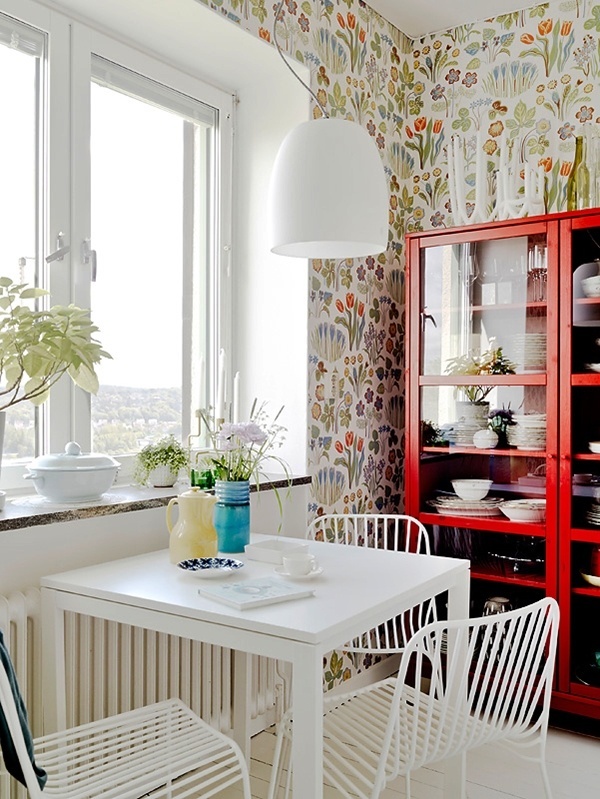 Have you done anything creative to create a dining space?